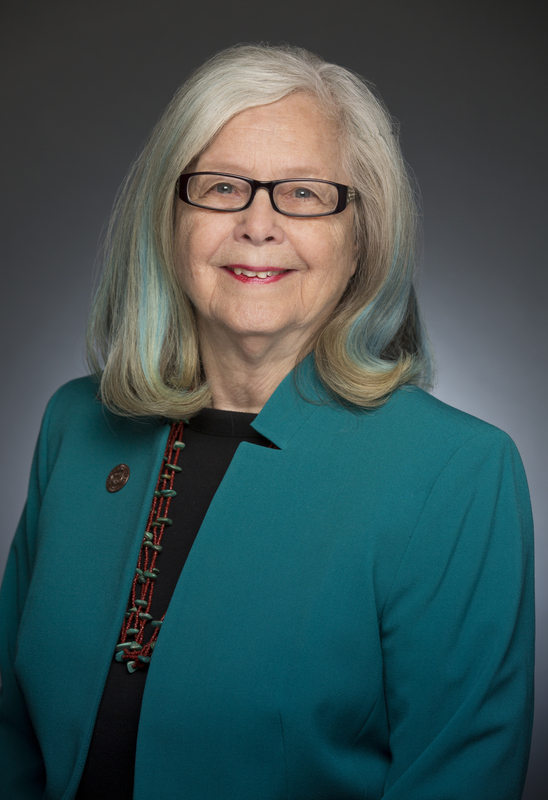 STATE CAPITOL, PHOENIX – Senator Barbara McGuire released the following statement on being sworn in last week for her second term as senator of Legislative District 8 and being reelected rural liaison for the Senate Democratic Caucus. "I am honored that the people of my district have once again entrusted me with representing them here at the Senate," said Sen. McGuire. "I've been very busy since last session, not just with the election but with my official duties helping constituents and advocating for the Superior mine legislation that was passed by Congress and signed by the president. Contributing along with Arizona’s congressional members and Senator John McCain, as well as speaking with President Obama about it on two occasions, proved the key to our successfully seeing this project approved, which will benefit our region through job creation and investment. I was pleased to be able to thank the president personally at his most recent visit to Phoenix. I would also like to offer Senator McCain my deepest gratitude for his efforts in helping to bring this to fruition." "As we start the new legislative session, I look forward to ensuring the people of my district have a strong voice that represents their priorities and protects them." A former two-term state representative, Senator McGuire, 60, is a mother of two, a grandmother and has been married to her husband Jim for 44 years. She is a Salvation Army Director, a former business owner, a chamber of commerce executive and a Citizen of the Year among other achievements. Senator McGuire serves on the Senate’s Natural Resources & Rural Affairs, Public Safety and Transportation committees. The district encompasses the Copper Corridor of Globe-Miami, Hayden, Kearny, Superior; the Sun Corridor of Casa Grande, Coolidge and Eloy; San Manuel, Winkelman, Dudleyville, Mammoth and Oracle, Florence and The Gila River Tribal Communities. In total, there are about 250,000 residents in the district with its largest populated are being the San Tan Valley, representing one third of the district.